Turn an alcove into built-in shelves in a few simple steps. 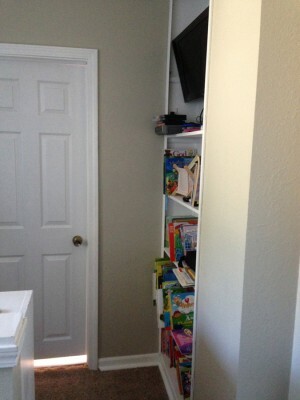 How to make use of that unused space in your home: Turn alcove into built-in shelves. It seems like everyone needs more storage in their home. We are no exception to this. When the kid’s book library is larger than the space available, it may be time to make use of an alcove like the ones we have in our home. Our home was built in 1900, and has unique twists and turns in its structure. The alcove in this illustration is there because the wall is built around the chimney that goes through the center of the house. 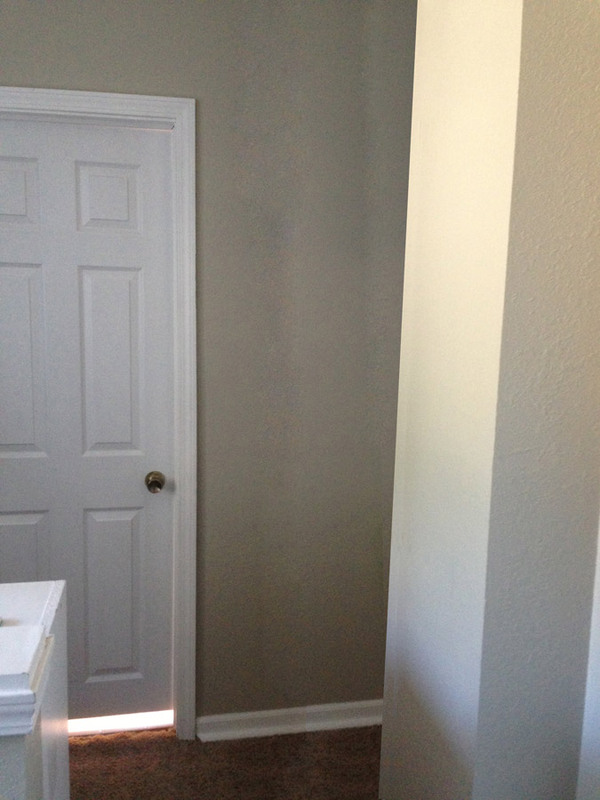 This left an 8″ deep and 24″ wide alcove. 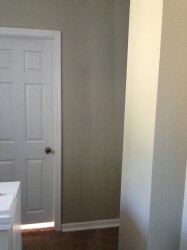 Paint – Paint the alcove a different color from the surrounding wall. We went with white. Prep – Build a spacer out of scrap wood at the base of the alcove so that when a bottom shelf is put in, it sits at the height of the baseboard and trim. Measure – Determine the number of shelves you want, and measure the height of the alcove, so you can evenly space the shelves. Mark a level line around all three walls of the alcove for each shelf. Build – Nail quarter-round trim or any trim of your choosing, upside down so that flat part is up, and you can rest a shelf board on top of it. Do this on all three walls for each shelf. Assemble – Put in shelf boards on each of your pre-marked and trimmed shelf locations. Affix the shelf boards with construction adhesive or trim nails. Trim – For a more finished look, add trim to the left and right edges of the shelving unit. This really is a simple project. 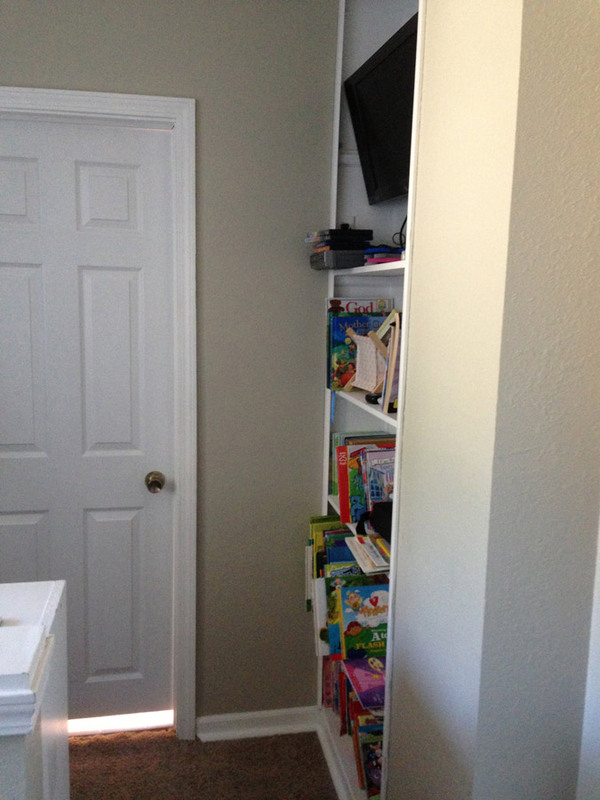 “Turn alcove into built-in shelves” can be done in a weekend easily, even accounting for paint dry time. For an extra feature, wire in an electrical outlet and you can put in a TV , digital picture frame , or shelf lighting for nick-knacks. Have any questions of comments, let Handy Father know below, or tweet @HandyFather.